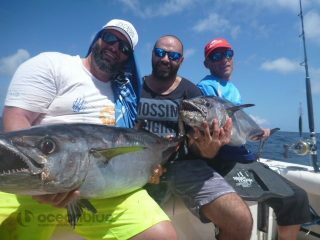 1st stop on Day 3 and the guys final day, Fedi, Bill & William as on the 1st drop with 3 jigs down at the same time all the action started with 3 triple hook up on some monster fish. 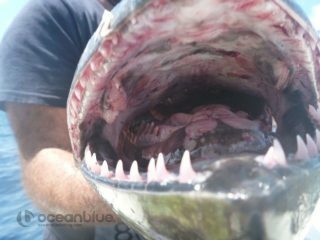 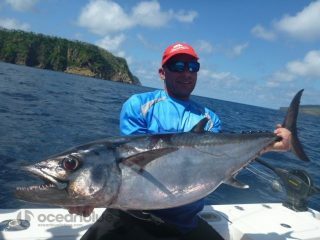 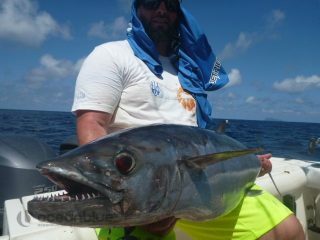 Some rippers of fish were caught including Fedi’s 50kg dogtooth but also many fish lost plus some gear left behind. 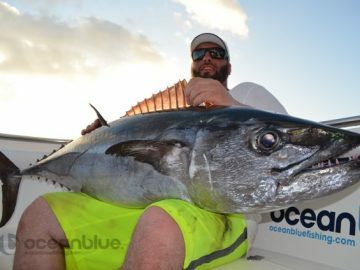 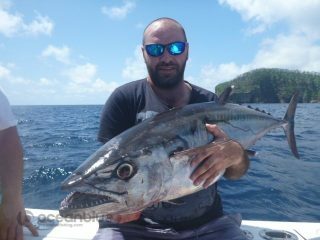 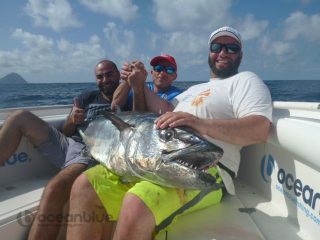 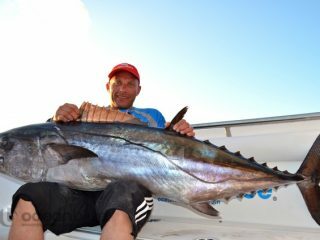 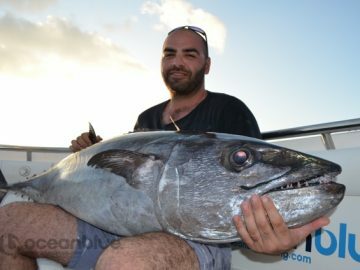 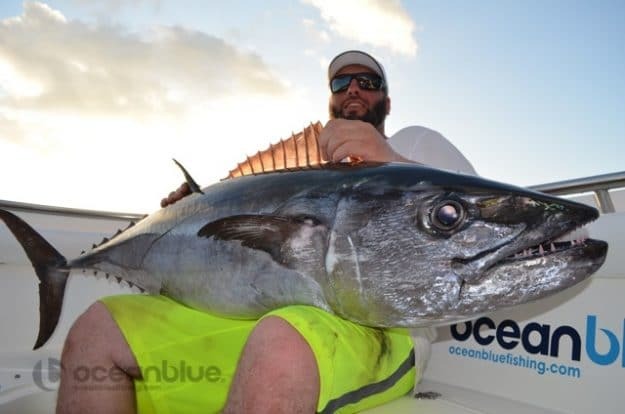 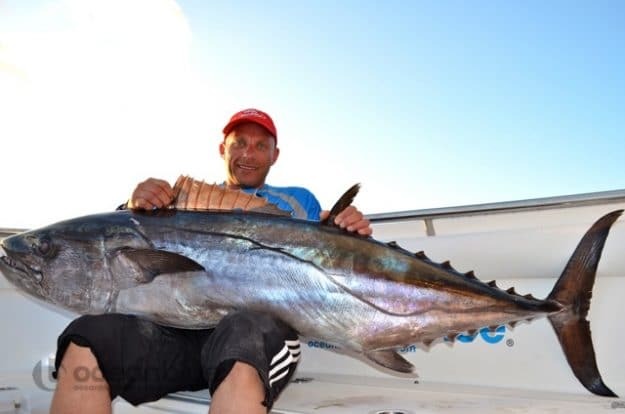 Overall they got everything they came for and more, a taste of sportfishing Ocean Blue style, landing some trophy fish and being blown away by a few unstoppables..
Congratulations guys for some great fishing and bring on the next years adventure for some even bigger fish! 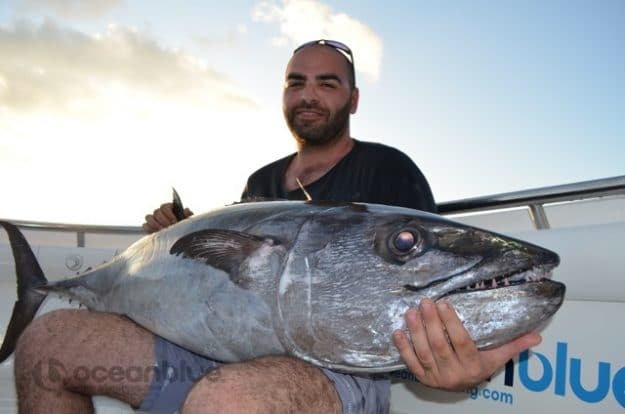 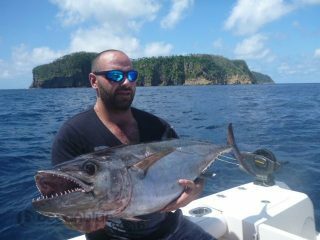 Vanuatu Fishing Fedi Zeini 31st August – 4th September 2015!